BOARDMAN - Robert James Weingart, 81, went home to heaven to be with his Lord and Savior Jesus Christ early Sunday morning, July 8, 2018, at his residence with his family at his side. He was a wonderful husband and a loving father and Papa. He was a brave and courageous man with a quick wit and unique sense of humor. He will be sorely missed by all who knew him. Robert, affectionately known as Jim, was born Jan. 26, 1937, in Berlin Center, a son of Robert and Ethel Court Weingart. Raised in Berlin Center, Jim was a 1955 graduate of Goshen High School. Jim enlisted in the U.S. Army and served in the Korean War and the Bay of Pigs. After being honorably discharged, Jim returned to the area. Jim worked at various jobs throughout his lifetime. Very artistic and creative with his hands, Jim saw hair dressing as an art. He studied under Vidal Sassoon in Europe and received his cosmetology license from Alliance Beauty School. He opened The House of James in Salem and worked for other salons in the area including Strouss at multiple mall locations. He enjoyed traveling around doing platform before and after work as well. His professional name was Mr. James. Due to a variety of health issues, Jim retired from hairstyling in 1995. 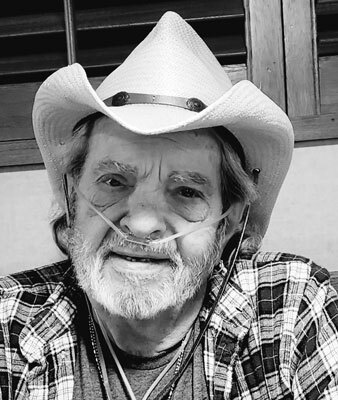 Jim was an active long-time member of the Venture Church in Boardman, where he was a former Trustee, Sunday school teacher, and a greeter of the church. It was his calling and one of his favorite ministries. He loved welcoming people to church each Sunday and inviting them to many of the other activities offered at the church. Jim initiated the Monday Night Mens Group, which is very active today. He had a gift of relating to people of all ages, but especially to youth. He is lovingly called Papa Jim by many. An accomplished wood carver, Jim demonstrated wood carving at the Canfield Fair behind the Fine arts building, where he won numerous ribbons over the years. He was a member of the former Western Reserve Wood Carvers Club. He also was talented in woodworking and carpentry and was a genuine overall handyman with many skills. Jim loved being by the water and enjoyed spending time at the beach. In recent years, his favorite activities were trips to Geneva on the Lake, day trips to Amish country, and drives through Mill Creek Park. Jim leaves his wife of 35 years, the former Wilma Gusbeth, whom he married July 15, 1983; one daughter, Jill (Carl) Curtis of Ravenna; one son, James (Roula) Weingart of Rootstown; one step-son, Jason (Jennifer) Good of Canfield; one sister, Judy (Raymond) Pinkerton of Berlin Center; and six grandchildren, Sarah Curtis, Joseph, Aaron and Katlyn Weingart, and Grayson and Gage Good. In addition to his parents, Jim was preceded in death by one sister, Betty Zurbrugg; and one brother, Sam Weingart. A celebration of Jims life will be held Wednesday, July 18, at 11 a.m. at the Venture Church, 7872 Glenwood Ave. in Boardman with Pastor Nathan Doyle officiating. A luncheon will follow at the church prior to interment at Hartzell Cemetery in North Benton. Friends will be received Tuesday, July 17, 2018, from 4 to 7 p.m. at the Davis-Becker Funeral Home in Boardman and Wednesday from 10 to 10:45 a.m. at the church.